Signia Therapeutics announces an agreement with Sanofi to evaluate potential pipeline candidates. Signia Therapeutics announced that it has entered into an agreement with Sanofi to evaluate more than one hundred proprietary molecules from the Sanofi library. This agreement is a major milestone for Signia Therapeutics, and it will help to further validate its discovery platform. This program is focused on validated compounds that have been tested, including in phase 2 and 3 clinical trials, to help to bring new therapeutic solutions to patients. Dr. Personne graduated with a Doctorate in Pharmacy from Université de Lyon and cumulates more than 25 years of experience in the healthcare industry, mostly in the field of pharmaceutics and medical devices. He held several management positions, with responsibility of affiliates, business units and profit centers. Dr. Personne brings Signia Therapeutics his wide experience and expertise in the pharmaceutical industry environment, especially in terms of strategic organization, business development and overall corporate and operational management. VirPath is very proud to be a partner of this interdisciplinary project. WANTED aims to unravel how molecular constituents of the fine particles and respiratory pathogens potentiate their detrimental effects on human health. 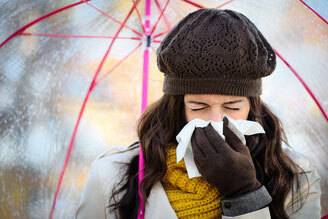 VirPath will provide insights into the understanding of potential risk for increased transmission and/or severity of influenza in a polluted air. IDEXLYON supports and funds initiatives that enhance the site's attractiveness and international outreach, strengthen its training and research potential, develop partnerships with socio-economic stakeholders and improve access to knowledge and its dissemination. As part of IDEXLYON, 6 projects were selected from the first call for the Scientific Breakthrough Program to receive funding of up to 1.2 million euros per project. Each project will be awarded funding up to 1.2 million euros over a 3-year period to conduct innovative and ambitious research activities that address major scientific and socio-economic issues. Preprint publication today of our study on the repurposing of diltiazem as a innovative influenza inhibitor. Based on clinical gene expression infection signatures, this original, host-targeted, drug repurposing strategy constitutes an effective and highly reactive process for the rapid identification of novel anti-infectious drugs, with potential major implications for the management of antimicrobial resistance and the rapid response to future epidemic or pandemic (re)emerging diseases for which we are still disarmed. Co-infection: when whole can be greater than the sum. Interview of Olivier Terrier in a Science & Society article published in EMBO Reports, about the complexity of influenza/bacteria co-infections. Achievement of the first phase of the EU H2020 SME funding instrument. US, CAN and EP publications of our International Patent Application (US 20180042937 – CN 107743402- EP 3270968) on the repurposing of the calcium modulator DILTIAZEM for the use thereof in preventing and/or treating infections by influenza viruses. A multicentre phase 2 clinical trial started last winter to assess the effect of DILTIAZEM in combination with standard antiviral Tamiflu® for the treatment of severe influenza infections (FLUNEXT - ClinicalTrials.gov identifier NCT03212716). Signia Therapeutics acquired the full exclusive international rights for the repurposing of DILTIAZEM as an innovative inhibitor of influenza viruses. 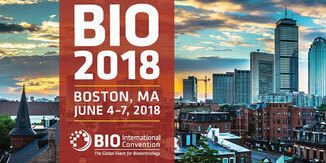 Signia Therapeutics will have several activities during the BIO 2018 that will be held in Boston from June 4 to June 7 2018. 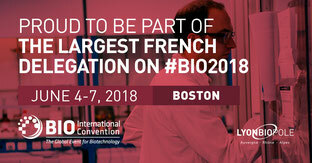 As the world’s largest biotechnology event, the BIO International Convention provides several specialized opportunities geared towards start-up and emerging companies. Signia Therapeutics has been selected to present during the Start-Up Stadium which is designed to provide start-up companies with the opportunity to engage key members of the investment community, venture philanthropy groups, and BIO attendees. The presentation will be on June 6 at 12:00. The company will also be present in the French Pavilion as a member of Lyon BioPôle, the 2nd largest Bio-Cluster in France. 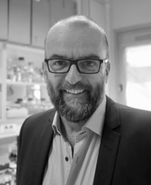 Finally, Michel Cousineau, the President of Signia Therapeutics, will take part to the Partnering Forum to engage discussions with potential partners. 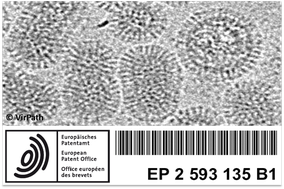 Publication of our International Patent Application (WO2018/073549) concerning the repurposing of marketed drugs to treat infections by the Middle East Respiratory Syndrome-related Coronavirus (MERS-CoV). Signia Therapeutics acquired the full exclusive international rights for this patent. Signia Therapeutics has been selected to present and participate at the 21st edition of the Venture 5i which will be held on May 30 and 31 at the Grenoble World Trade Center. The presentation will be on May 30 at 18:15 in front of the investors and the company will participate to the One2One meetings with the investors on May 31 in the morning. The Venture 5i is a business meeting on invitation only. The goal of the conference is to identify top 20+ high-growth regional companies and introduce them to key European investors and professionals who can assist in their global expansion. 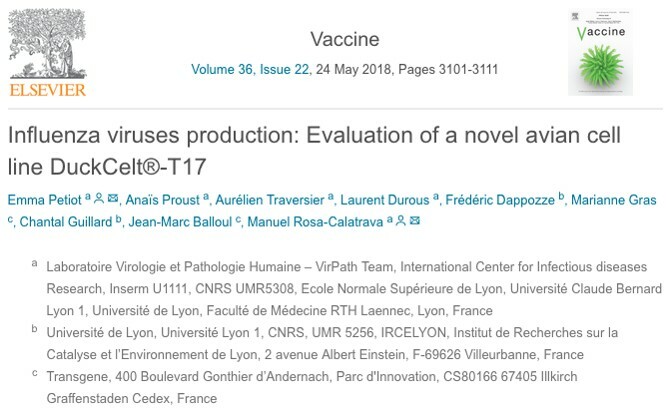 Our publication presenting the novel avian DuckCelt-T17® cell line for influenza virus production has been selected for a special issue in Vaccine (Vaccine Technology VI: Innovative and integrated approaches in vaccine development). This special issue of Vaccine contains a series of papers representative of the topics discussed at the Vaccine Technology VI conference. Fourteen selected papers highlight the new tendencies for vaccine technology development, including new formats, continuous processing, quality by design and design of experiments, as well as robust processes and highly characterized vaccines. They give a flavor of what to expect at the upcoming Vaccine Technology VIIth conference[i21], to be held in Mont Tremblant, Quebec, Canada, in June 2018. Signia Therapeutics has been awarded the Seal of Excellence by the EU H2020 Framework Programme for Research and Innovation. A successful partnership between Quebec and France on the development of new antivirals. Dr Guy Boivin (Canada Research Chair in New Viruses and Antiviral Resistance, Centre de Recherche du CHU de Québec-Université Laval) and Dr Manuel Rosa-Calatrava (Deputy director of the VirPath laboratory) conduct a joint research program since 2011. This partnership led recently to significant achievements in the development of new broad spectrum antiviral drugs. VirPath and VirHealth announce the continuation of their research partnership in the field of microbiological disinfection. 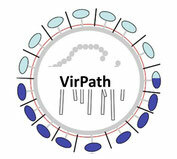 VirPath and VirHealth are pleased to announce the extension of their research partnership for another 2 years. In the current context of a strong technological development in the field of disinfection, this collaboration aims to continue to innovate in the development of specific test protocols. In this dynamic, the partners have already developed a unique expertise in carrying out tests based on complex multi-organism and multi-pollutant organic deposits and mimicking in the laboratory contaminated surfaces characteristic of technical and specific environments (medical, breeding and agribusiness). The VirPath laboratory and VirHealth will continue and accelerate their research programs to better meet management and control issues of microbiological contamination for a better protection of people, animals and environments. 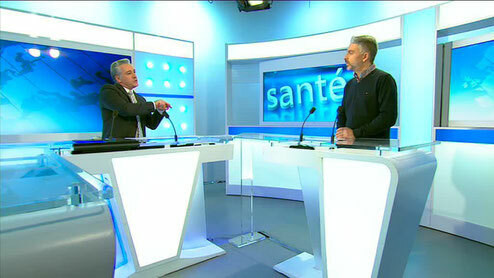 Virpath on TV news on "France 3 Auvergne-Rhone-Alpes" channel. A TV coverage with a live interview about a new phase II clinical trial in Lyon: repurposing an already marketed drug as a novel Flu treatment. Signia Therapeutics announces the achievement of key licensing and phase 2 clinical trial milestones. Signia Therapeutics has completed a major licence agreement with the Université Claude Bernard of Lyon (UCBL) and the Université Laval of Québec to obtain full exclusive international rights for three patents comprising eight repurposed marketed drugs as new antivirals against influenza viruses or the Middle East Respiratory Syndrome-related Coronavirus (MERS-CoV) (WO2016146836; PCT/EP2017/058009; PCT/FR2017/052889). Signia Therapeutics is also pleased to announce a further validation of its development strategy through the start of a multicentre phase 2 clinical trial to assess the effect of the repurposed calcium modulator diltiazem (Tildiem®) in combination with standard antiviral oseltamivir (Tamiflu®) for the treatment of severe influenza infections (FLUNEXT TRIAL PHRC #15-0442 - ClinicalTrials.gov identifier NCT03212716). These key milestones confirm the strength and advancement of Signia Therapeutics’ strategy, proprietary drug discovery platform, and growth plan.